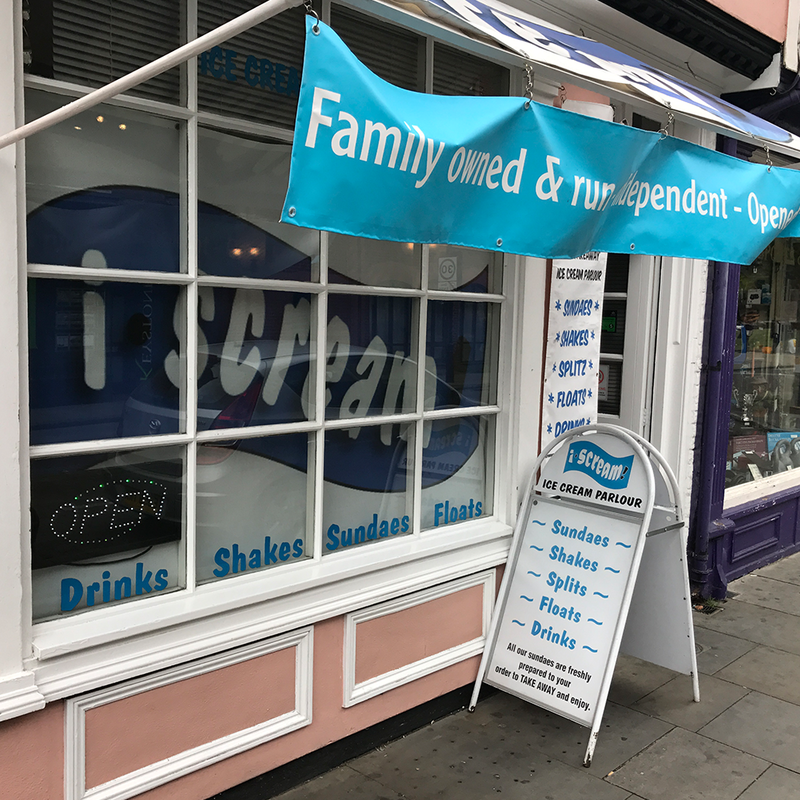 "I Instantly Felt like A Kid In A Sweet Shop"
Located in The Saints and offering a takeaway ice cream menu, i Scream has been trading since 1999. But just how special is the specialist dessert venue…..our mystery diner – Claire – went to find out. I opted for the two-scoop bowl, aided by my hostess’ advice. I decided on a salted caramel & dark chocolate combo, with a marshmallow base and a chocolate sauce & chopped nut topping. The ice cream was excellent and the base & toppings were a major addition and not a distraction or makeweight, like in some outlets.